When I started my career I had grand expectations for myself and what I wanted to accomplish. I had seen other people in my industry, and one in particular who worked while I took time off to raise my children, that were way ahead of me. She was definitely an inspiration to me and I was trying to catch up as quickly as possible without doing the work. I had done pretty well by myself getting connections and I got on the news a couple of times. My husband who is a great advocate of mine, reached out to a couple of people for advice and one of the agents that we spoke to gave us Arthur’s name. So, I called him. That’s really how I met him. And then I quickly realized that Arthur was teaching me about having a real voice, a strong voice. So, that’s when I realized how important it was and that I wanted to find my own Voice. Q. Do you recall a moment when you had a shift or even a breakthrough because of your Work with Arthur and/or Vocal Awareness? A. Oh definitely, absolutely. In the beginning those things came and went. At first I would work and I would feel a breakthrough and it wasn’t always with my career, sometimes it was with girlfriends or friends, or a conflict that I was having with someone and I would find myself being more grounded in the way that I would handle myself. A lot of times I would think of Arthur’s advice just to listen to what I was actually saying and take my time, just listening to the words as they came out of my mouth. That helped me a lot because previously I would get emotional and heated. I also felt breakthroughs when I had to speak up for myself in conflict. I remember at the time when I studied with Arthur, I was working in an office where people weren’t being so kind to me and I spoke up for myself and I remember feeling it was a great accomplishment that I actually was heard. And not only did they hear me, they actually took me seriously. Sometimes I go on television and I don’t do as well because I didn’t do the work or I was rushed or I didn’t think beforehand about all the things that I have learned. 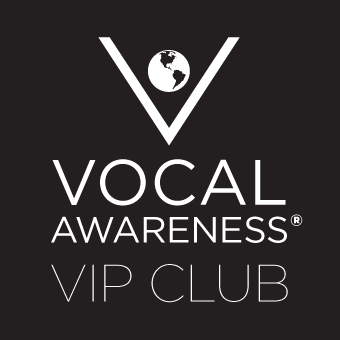 When I prepare using Vocal Awareness, I feel more grounded. I always allow my breath and think of my Source. These are things that I have taken from Arthur that I always practice. I would love to feel this Vocal Awareness sense of possibility 24/7 and sometimes I do. Other times it escapes me because life gets in the way and then, I bring myself back to it by just remembering the time that I worked with Arthur. It’s important to stress that you always have to practice it in order to keep it. It’s like anything in life. I work with people who want to lose weight and often have a negative self concept. I help them to flip the switch, to remember that everything is possible for them but that no one else can do it for them. I can tell when someone in my practice will be successful, because I see them make a choice. They make a decision to work on it. With your Voice and with your thoughts it’s the same concept. A. The biggest benefit is that I’m getting more of what I want. I haven’t worked with Arthur in a long time and a lot has changed. A lot has changed for the better. I have grand visions for my work and my career. Arthur always asked me to write out my goals and my visions and so many of them are now coming together. It didn’t come right away or maybe how I wanted it to in the beginning. I felt ready and was doing what I find my clients doing, wanting success to come quickly and fast. I really worked for it and kept my vision clear. One of those visions was writing a book. Before Arthur, there were times when I felt silly saying I was going to write a book. I didn’t know how to write a book. What happens? What do you do? How do you get that done? I always said I was going to write a book and Arthur taught me yes, that’s what you are going to do. You are going to do it. I never, ever gave up on that possibility. I was writing just for myself. No one told me that they were going to publish it. I just did it and got it done. When I look back, it really took a year-and-a-half to get from this point to that point and it’s (The HD Plan) not coming out until January 2015. It’s all a really long process but, what I learned from Vocal Awareness was to keep my visions clear. I took the steps to get there. I was patient. I worked on myself and my tasks everyday and my practice has also grown a lot. My agent believed in the book and said, when I take you on meetings, you are just going to have to sell yourself so they believe in you in order to give you the chance to write the book. I had to sell myself because I wasn’t someone that already had any sort of international platform where they would get me a book deal or give me that opportunity. And, I said, okay, I’m up for the task. This had a lot to do with what I learned from Arthur. I’m very thankful.